Imagine a product that helps style while perfuming your hair throughout the day with the fresh scent of an ocean breeze only in timely bursts? 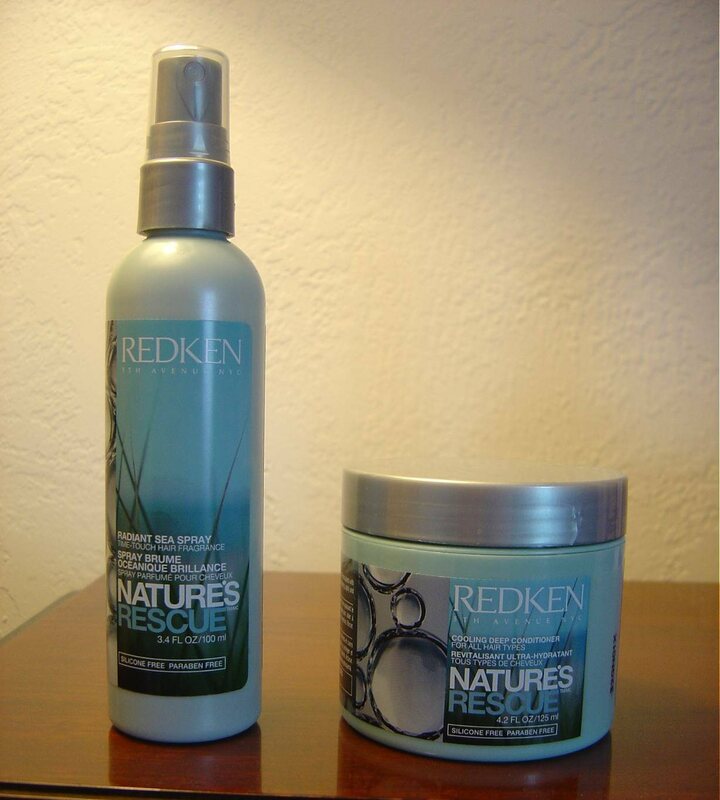 Thanks to the creative talents at Redken, the Nature’s Rescue hair care line was born! I got to experience the magic of two of those products for this review. The Nature’s Rescue Radiant Sea Spray delivers a way to build texture and it conditions with sea algae, soy protein as it continuously keeps your hair smelling ocean fresh. The scent is released in their formula of time-touch capsules and really does keep your hair beautifully scented until your next shampoo. This happens when your hair is touched. I’m not the only one that recognized how innovative Redken Nature’s Rescue Radiant Sea Spray is because it is also nominated in the 7th Natural Health Beauty Awards 2011. Vote and be entered to win $350 worth of the top 24 winning products. The Rescue Cooling Deep Conditioner is a lightweight daily conditioner that moisturizes without weighing down your hair. That delightful scent of ocean was an added plus. The line also has a Refining Sea Polish and the Refreshing Detox Shampoo. I would like to try the blonde glam shampoo! Would love to try the Cooling Deep Conditioner or Detox shampoo. I would like to try the Body Full Shampoo.